Recommended viewing: surprisingly violent early Steve McQueen flick (1959) from the crime don’t pay genre. The Internet Archive warns: “this film is devoid of humor, wit, cheerfulness, glamor, and mercy. It’s grim to the brim.” So it is well worth watching. Enjoy! 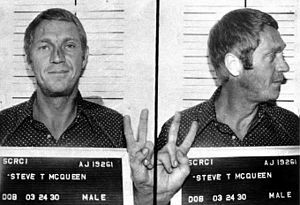 This entry was posted in Culture, Film Noir, Movies & TV, Video and tagged Public domain, Steve McQueen. Bookmark the permalink.